This article was provided by BWML. 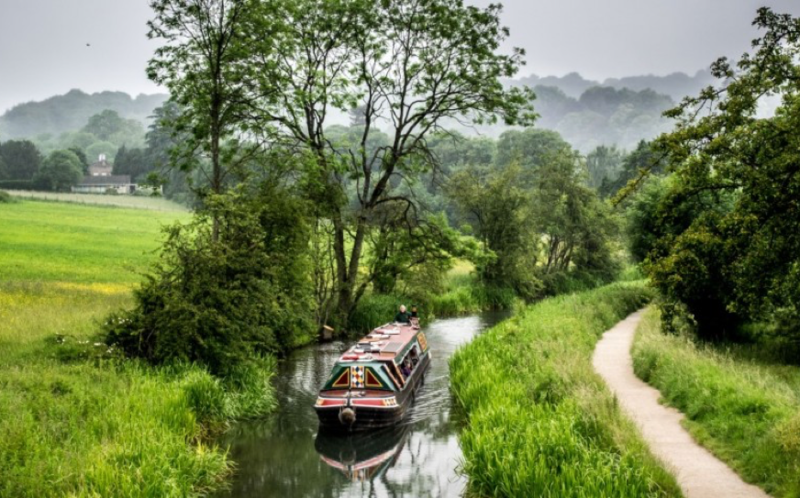 The UK is now home to over 2,000 miles of canals – that’s a lot to choose from. 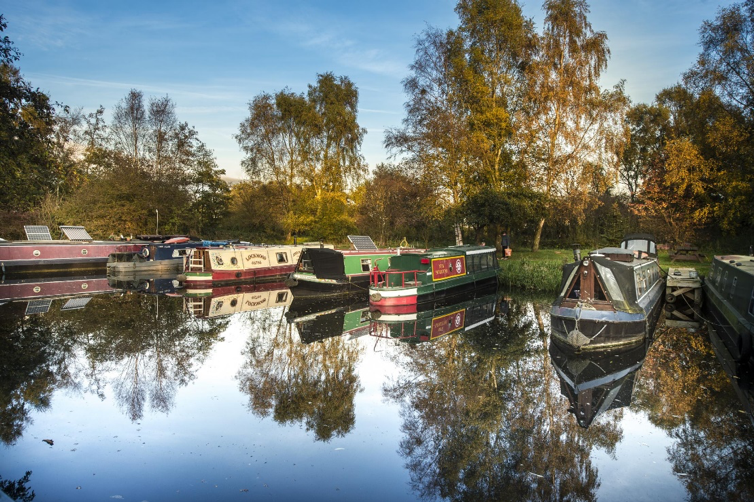 From winding countryside lakes, quaint towns and villages to bustling historic city centres, there is certainly something for everyone on our waterways. So, to make your decision easier, we have selected the top five routes every narrowboater cannot afford to miss in 2019, whether you live on a canal boat or are planning to take a leisurely holiday. Looking for an adventurous waterway with picturesque views? 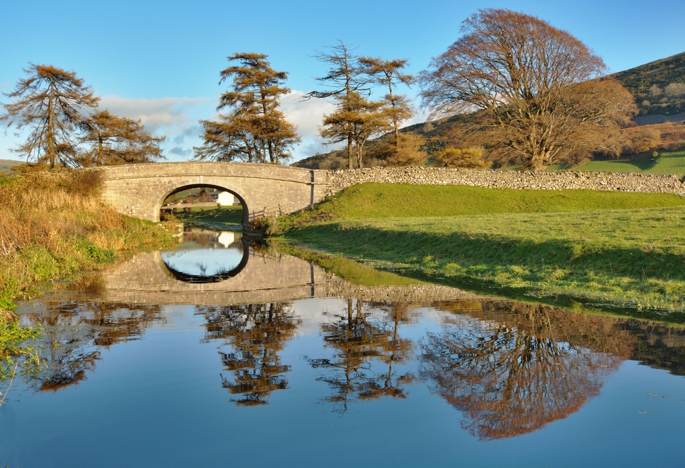 Why not cross the border between England and Wales on the beautiful Llangollen Canal? Considered one of the most beautiful waterways in the country, Llangollen Canal is practically a living heritage museum. From Llangollen’s nearby steam railway to the canal’s very own horse drawn boat trips, it’s like taking a step back in time on the water. This canal is approximately 90 miles long and boasts 42 locks. The journey takes about 40 hours cruising; making it ideal for a week’s long leisurely canal holiday or those who live on a canal boat. It leaves the Shropshire Union Canal just north of Nantwitch and passes through the towns along the way such as the medieval Whitchurch, the market town of Ellesmere set in its own “Lake District”, Chirk with a grade 1 listed castle and of course Llangollen, renowned for its surrounding hills across the Welsh valleys. 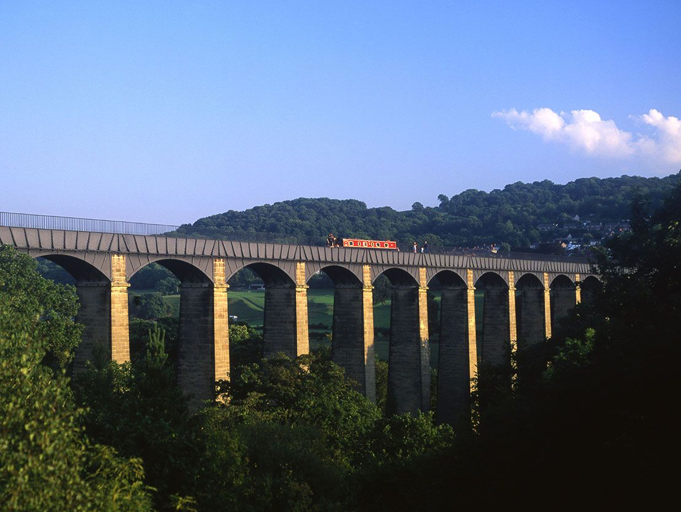 You will also pass through Pontcysyllte – Telford’s famous aqueduct. Known as the “stream in the sky”, the aqueduct soars 126ft above the River Dee crossing the valley, offering spectacular views from all angles. It is the largest architectural structure of its kind in the UK – great if you have the head for heights! Oxford canal winds through some of England’s most beautiful villages. And with the waterways lined with cosy country pubs and quaint cottages, it’s the perfect route for experiencing Britain’s traditional countryside on the water. This charming canal is approximately 77 miles in length. There are 46 locks on-route and, while cruising, the journey can be covered in about a week. This canal experience begins by the River Thames in the university city of Oxford and goes right through to the three spires of Coventry. 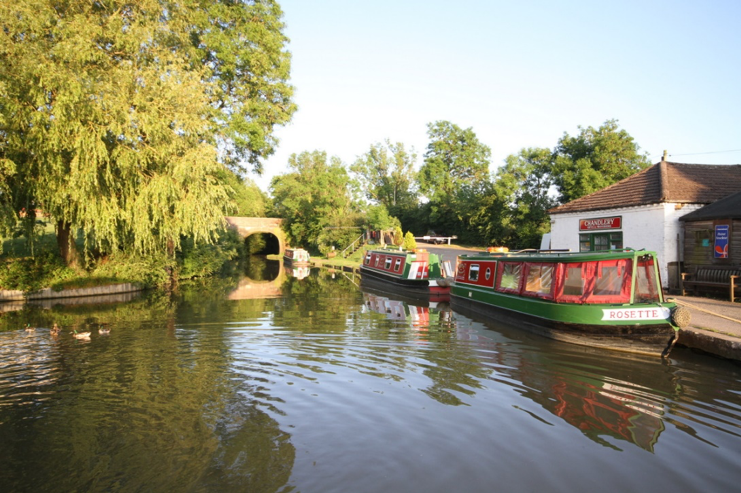 On route you will pass through pretty stone villages including the old canal hamlet of Thrupp, Cropredy with its Anglo-Saxon heritage and Cotswolds town Aynho – all very popular spots for narrowboaters. 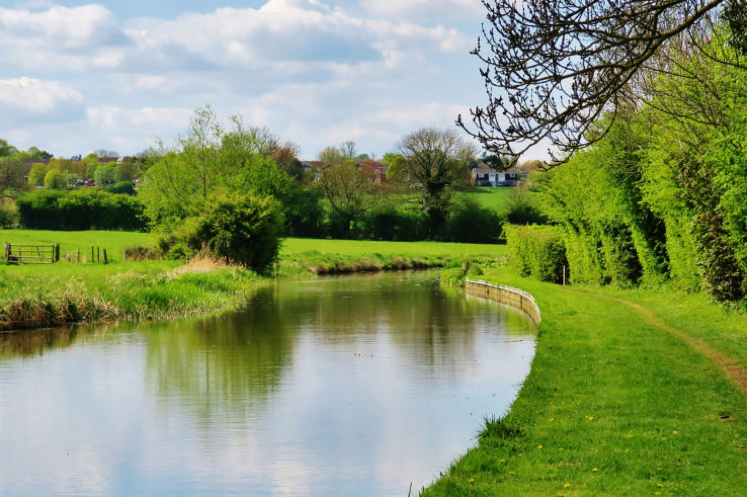 Just as the canal reaches Kidlington you will enter the beautiful Stratfield Lake, a large area of long-established woodland, meadows and wetland, covering 45 miles. Use the towpath to access the greenery where you will uncover some wonderful displays of flora and fauna. The western area is a nature reserve under the Woodland Trust, so it’s a great place to go wildlife spotting! 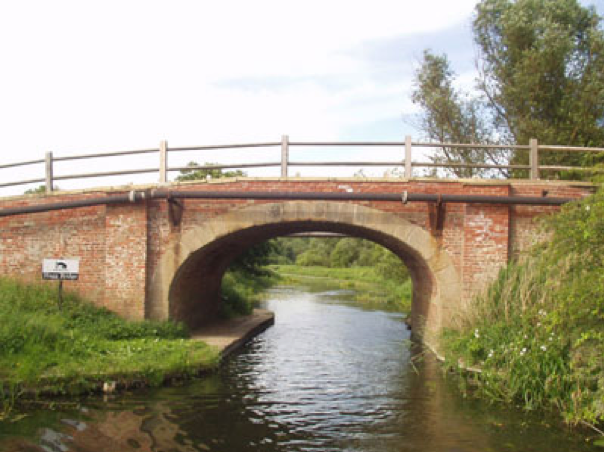 Situated in the East Riding of Yorkshire, Pocklington Canal is It is renowned for being one of the top wildlife spotting canals in the country. Once threatened, the canal is now home to three Sites of Special Scientific Interest. Running 9.5 miles between East Cottingwith and Canal Head at Pocklington, the canal has an easy nine locks, so it’s a great route for new or inexperienced boaters. If you need somewhere to secure your boat while you venture out further, you could look at boat moorings near the local area. Pocklington Canal is a wildlife paradise. Here, you’ll find herons, mallards, dragonflies, kingfishers and mute swans. The area is especially beautiful in the spring and summer when the meadows bloom with an array of wildflowers, providing homes for lots of nesting wildfowl. However, if you can’t visit during the warmer seasons the canal attracts birds from as far as Siberia and Poland in the winter, so there is still plenty to see. The canal also boasts interesting architecture including swing and hump-backed bridges plus completely restored and unrestored locks. Two in particular – Church Bridge and Swing Bridge no. 7 have been restored to their former glory through a Heritage Lottery Fund. Want to stop off for some food? There are plenty of pubs and cafes at the Canal Head, notably the Melbourne Arms pub. You will find lots of picnic areas too. 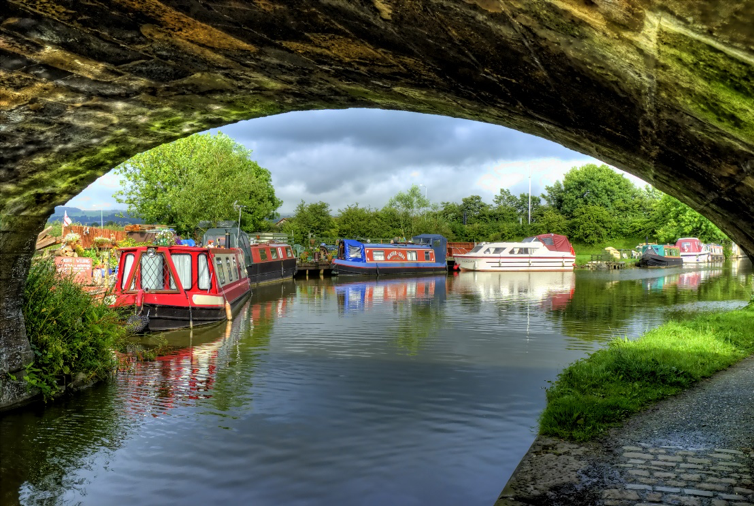 Linking Preston to Kendal, Lancaster Canal is one of the UK’s very few coastal canals. Providing spectacular views of the Silverdale Coast, Wyre countryside and the Forest of Bowland, Lancaster Canal is home to some of best architectural UK canal routes – this isn’t one to miss if you’re a history buff. One of the most popular routes to take is Lune Aqueduct trail. On the way, you will uncover interesting stories about Lancaster’s old mills, canal barges, unexploded bombs, working horses before finally reaching the iconic Lune Aqueduct. Over 200 feet long, Lune Aqueduct carries Lancaster Canal 16 meters above the River Lune and offers stunning views across the valley in Lancashire. 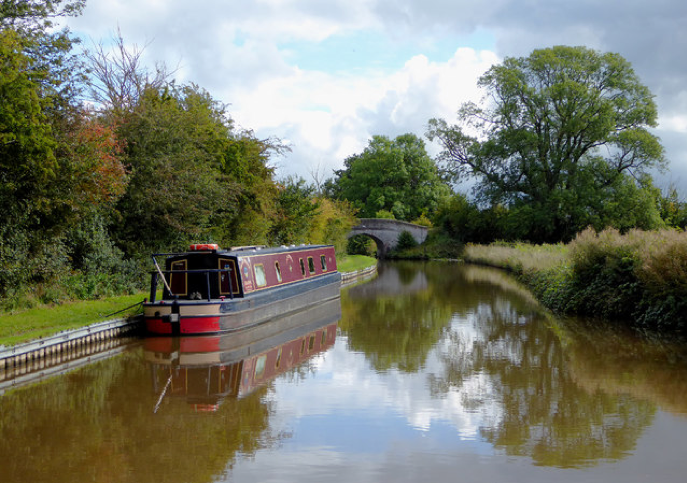 Another popular trail is through Garstang, an old market town, which offers 41 miles of lock free, uninterrupted canal cruising – the longest stretch in the country. Running on a picturesque landscape, it’s the perfect place to unwind and take in the historic architecture such as a canal basin and a stunning 15th century barn. It is also a great place to eat, with a riverside café plus a variety of nearby pubs and restaurants, such as Guy’s Thatched Hamlet and Crofter’s Hotel where you can sit and take in the local wildlife. You could take a trip into Garstang’s town centre to take in its historic surroundings and pick up local produce. Prefer a waterway in an urban setting? 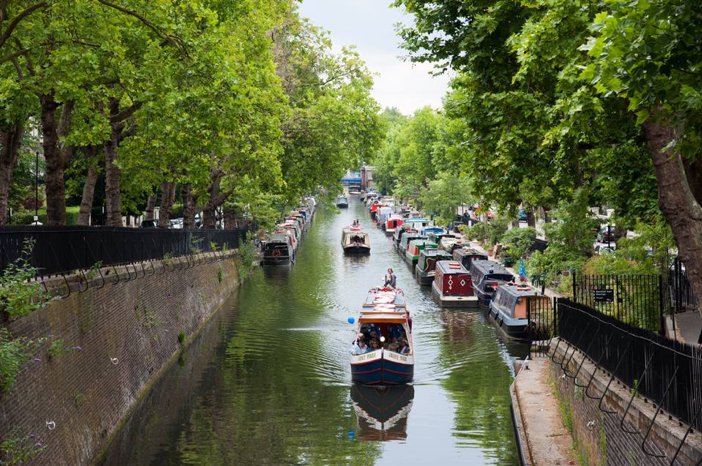 Regent’s Canal, located in London, offers an escape route from hustle and bustle of the capital’s busy streets whilst keeping you close to plenty of attractions. It’s a leisurely way to explore London without the fuss! 8.6 miles in length, Regent’s Canal is home to 13 locks and acts as a great link from the Paddington Arm, the Limehouse Basin and the River Thames in east London. This quiet yet atmospheric route runs through the neighbourhood of Little Venice, full of quirky, waterside cafes, charming restaurants and cosy pubs all the way to Camden Lock Market, one of London’s most famous and unique shopping locations. It also overlooked by London Zoo’s vast aviary, so you could easily pay a visit! In 2020, Regent’s Canal will be celebrating its 200th birthday, so be sure keep an eye on what’s being planned to mark the occasion! You can find out more information here. Do you plan on cruising along any of these canal routes? Let us know!